Pub. by The Long Island News Company, Long Island City. Made in Germany. Pub. by The Long Island News Company, Long Island City. 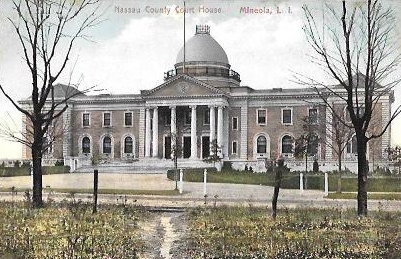 Made in Germany., “Nassau County Court House. 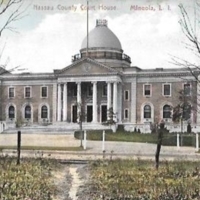 Mineola, L.I.,” Hofstra University Library Special Collections: Digital Collections, accessed April 20, 2019, https://omeka.hofstra.edu/items/show/2354.